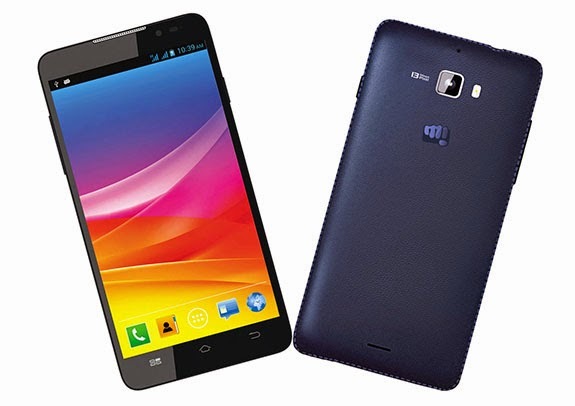 Micromax is hugely accepted by the people in India because of having very good specs phone under budget. Now Canvas nitro is popular among people having features like Android Kitkat, 13 MP primary camera and 5 MP secondary camera, MediaTek MT6592 Octa-core Processor, 16 GB ROM with support of 32 GB extenal SD card, 2GB RAM and 2500 mAh battery. It has classic candy bar design and body is made of plastic and back cover has faux leather look. The rear and back camera are 13MP and 5 MP respectively, performance of camera in low light is not good however it is relatively good in daylight, The performance of processor for running application is fine but it get slightly heated up to acceptable level while using heavy games. The 2500 mAh battery is running for full day in 3G network. Smooth touch calibration with better user touches response. Micromax is expected to rolling out Lollipop update in future. The phone has a very nice build it gives you a complete premium look. With its high hardware configuration Mediatek MT6592 1.7 GHz Cortex-A7 Octa core Processor with 2GB RAM it perform really well. There is no lagging in any application and you can run multiple apps at a time. 3G is not working in both SIM at same time. On the basis of specification in official site it has 2500 mAh Battery backup but performance is not as good. Battery backup is well upto the level of 60% but after that battery discharge suddenly from 60% to 0%. You can’t download applications on external SD card. Heating is another issue with this mobile. This phone get heated within 20-30 min in upper part while using camera, playing games, using WiFi and internet but it is within acceptable range. In 13MP the performance of camera is especially disappointing for low light. The sound quality in video recordings is also on lower side. Use battery doctor to know which application is using your battery power or you can check Solution for Android Smartphone heating issue. The Micromax Canvas Nitro A310 is good for people looking for a decent handset from Micromax under 13 K INR. If you are expecting a good camera quality and long battery life then I will not recommend you this phone but keep in mind for outdoor photography it produces decent quality picture and for moderate user it gives full day batter backup.